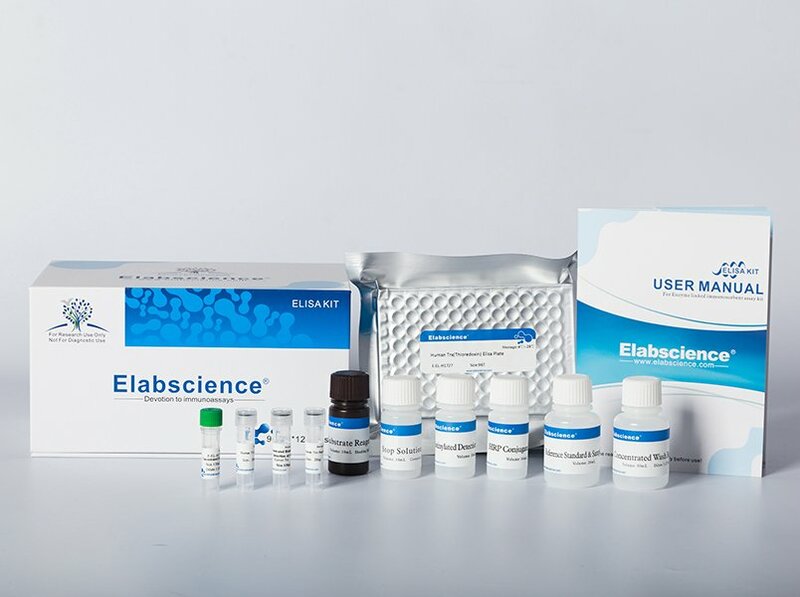 Método: This ELISA kit uses the Competitive-ELISA principle. The micro ELISA plate provided in this kit has been pre-coated with Canine Ang-Ⅰ. During the reaction, Canine Ang-Ⅰ in the sample or standard competes with a fixed amount of Canine Ang-Ⅰ on the solid phase supporter for sites on the Biotinylated Detection Ab specific to Canine Ang-Ⅰ. Excess conjugate and unbound sample or standard are washed from the plate, and Avidin conjugated to Horseradish Peroxidase (HRP) are added to each microplate well and incubated. Then a TMB substrate solution is added to each well. The enzyme-substrate reaction is terminated by the addition of stop solution and the color change is measured spectrophotometrically at a wavelength of 450 nm ± 2 nm. The concentration of Canine Ang-Ⅰ in the samples is then determined by comparing the OD of the samples to the standard curve.